Upstairs: Room 1 – Luxury king bedded suite with an open plan full en-suite bathroom with spa bath and a double headed shower. It boasts a private balcony overlooking the lagoon and is equipped with a bar fridge, TV, M-net and tea & coffee making facilities. 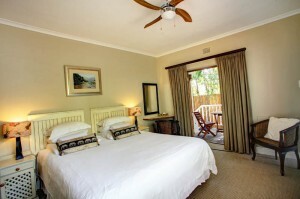 Upstairs: Room 2 – Standard king bedded room with a full en-suite bathroom. It boasts a private balcony overlooking the lagoon and is equipped with a bar fridge, TV, M-net and tea & coffee making facilities. 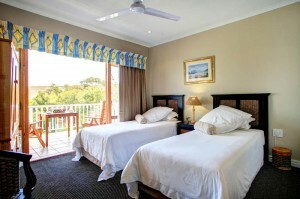 Upstairs: Room 3 – Deluxe king bedded room with a full en-suite bathroom overlooking the lagoon with a one-way glass window. It boasts a private balcony overlooking the lagoon and is equipped with a bar fridge, TV, M-net and tea & coffee making facilities. 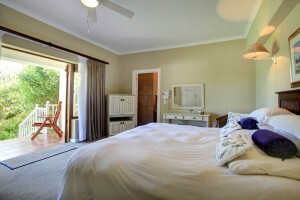 Upstairs: Room 4 – Standard twin bedded room with a full en-suite bathroom. It boasts a private balcony overlooking the lagoon and is equipped with a bar fridge, TV, M-net and tea & coffee making facilities. 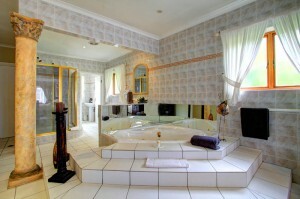 Upstairs: Room 5 – Luxury king bedded suite with a full en-suite bathroom, spa bath. It boasts a private balcony overlooking the lagoon and is equipped with a bar fridge, TV, M-net and tea & coffee making facilities. 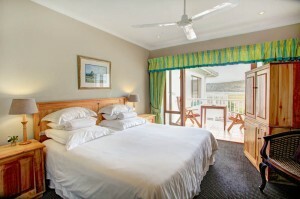 Downstairs: Room 6 – Standard king bedded room with a full en-suite bathroom overlooking the lagoon with a one-way glass window. The room has a private patio leading out to the lagoon view garden and pool area. It is equipped with a bar fridge, TV, M-net and tea & coffee making facilities. 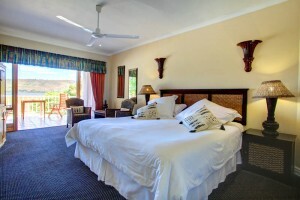 Downstairs: Room 7 – Standard king bedded room with a full en-suite bathroom. It has a private patio leading out to the lagoon view garden and pool area. 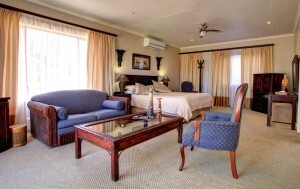 The room is equipped with a bar fridge, TV, M-net and tea & coffee making facilities. 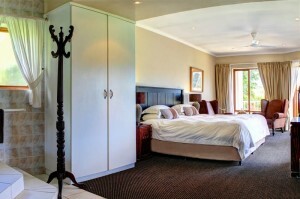 Downstairs: Room 8 – Standard king bedded room with a full en-suite bathroom. This is a non-lagoon facing room. 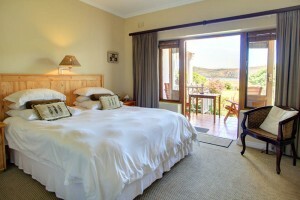 It is equipped with a bar fridge, TV, M-net and tea & coffee making facilities, as well as a balcony.